Our summer camp sessions for youth offer faith-based adventure activities combined with Christian programs developed for spiritual formation. We provide opportunity for water activities on Weeks Bay; kayaking, canoeing, paddle boarding, sailing, and swimming. We engage campers in field and court games; ultimate Frisbee, soccer, kick-ball, basketball, volleyball and other camp games. We have a rock climbing wall, nature trail for light hiking, and challenge course with high and low ropes elements. We are honored to work with priests across the Diocese to provide Christ-centered programs and a contemporary style of praise and worship. The strong spiritual component of each session is led by a priest from within our Episcopal Diocese, we refer to this person as the Camp Dean. Beckwith is owned and operated by the Episcopal Diocese of the Central Gulf Coast. Check-in is between 3-5pm on the first day. To register your camper for summer camp, a $100 non-refundable deposit must be paid. At the end of your registration process, you will be asked to pay this fee. The $100 deposit is non-refundable if your child is accepted into Beckwith. If your application is put on the waiting list and your child is not accepted into camp, your deposit will be fully refunded. The deposit is deducted from the total camp fee. The balance can be paid anytime but is due no later than May 1st. Camp fee includes a T-shirt, water bottle, canteen items and programming material. If it is necessary to cancel, INFORM THE OFFICE IMMEDIATELY by e-mail. We have many applicants on a waiting list and want to notify them of vacancies as soon as possible. If a camper fails to “show up” for their session and the office has not been notified of cancellation, the parents or guardians will be responsible and billed for the entire camp fee. For cancellations occurring more than 14 days before the start of your session, Beckwith will refund all fees except for the $100.00 non-refundable deposit. In the case of cancellations 14 days or less from the start of your session, no refund will be provided. 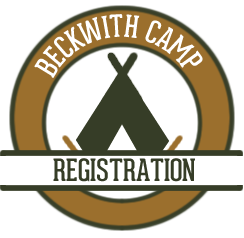 However, should Beckwith be able to fill your cancelled reservation from our existing wait list, the Summer Camp Director, at her sole discretion, may refund all fees paid except for the non-refundable deposit plus a $75.00 cancellation fee. Financial assistance is available to young people on the basis of need and merit. Application deadline is May 1st or until funds are depleted. Campers will be active in many different programs and events during their stay at camp. 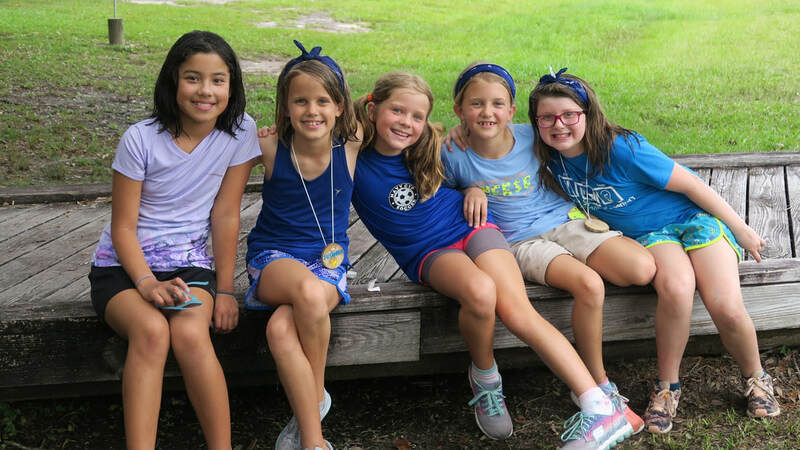 These valuable experiences are built in succession upon one another and campers may not have another opportunity to participate in these events during the session. We ask all parents to honor these camp experiences by encouraging your child to stay at camp the entire time. In the event of an emergency, parents will be called immediately and all efforts toward communication and safety will be made. Campers are accepted for the full session only. This is now a part of the application process online. Please read it carefully because some things have changed, especially the requirements for administering over-the-counter medication. This is due to changes from the AL State Board of Nursing. Once you have completed the registration process you will receive a confirmation email. In it will be a form to print, fill out and bring with you on the day your camper’s session starts. This form is for medicines your camper will need to be on or might need while at camp. You can also download and print this form from this website. Careful consideration is given to each cabin assignment. The final decision rests with the Summer Camp Director. Summer camp provides an opportunity for growth and for the camper to try new things, meet new people and make new friends. We ask parents to prepare their child by supporting this policy. You can make a cabin mate request during the online registration process and we will make every effort to pair each camper with one of their friends. Mailing letters to camp is discouraged. We often get letters that arrive after the session is over and have to return to sender. Please feel free to put letters and notes in your camper’s bag or give them to a counselor on check-in day. Beckwith is now care-package free for all sessions. This includes care packages left for your camper on opening day. Campers may not receive packages at camp. Any packages will be returned to the sender. Please make sure that all family members and friends know this policy. Thank you for your support of this new policy. It makes camp better for everyone! Please leave all money and valuables at home, including cell phones and mp3 players, laptops, and all electronics. Although Beckwith does have a lost and found, we are not responsible for items lost or left at camp.